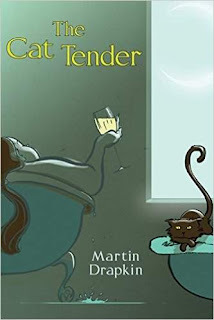 Maggie Mullen is an overweight twenty-seven-year-old woman who has built a quiet, simple life for herself that revolves around her cat-tending business, the time she spends with her own faithful feline, Lucy, and her enduring love for Frank Sinatra. Maggie likes her quiet, simple life, but it's quickly becoming complicated. She's been asked to be maid of honor at her sister's wedding: a nightmare prospect that threatens to take Maggie from her carefully constructed comfort zone. Maggie is funny, quirky, and complicated in some ways. She likes revenge movies and tells off-color jokes to the cats she takes care of. She's also ambivalent about many things: relationships, marriage, having children, and career choices. She loves cats, though, and there are lots of funny cat stories.